The Selous is becoming drier day by day, and so the large congregations of wildlife develop around the permanent water points. Lake Manze is a thriving movement of wildebeest with hundreds coming to drink every day, to quench their thirst. Lions hanging about at the water’s edge, knowing that their next meal is imminent, and all they need to do is to wait. 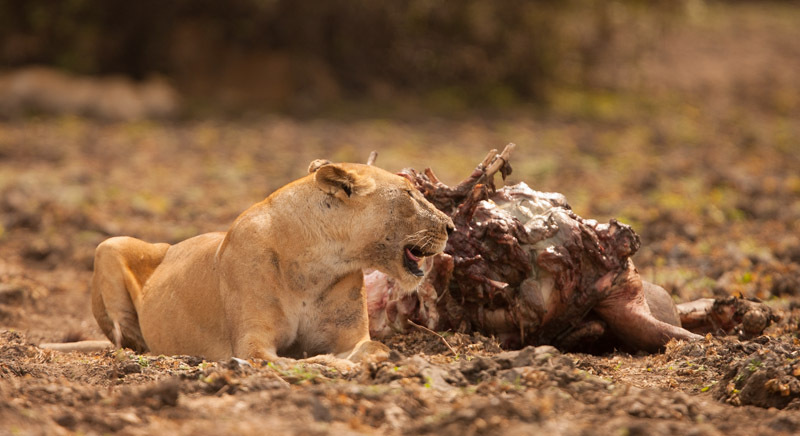 Unlike most lions, that will eat once or twice a week, the prides around Lake Manze often kill and eat every day, due to the amounts of game coming to drink. In many cases they hardly even finish what they have killed, and leave it to the vultures to come down in large flocks to enjoy the ample leftovers. We often don’t realise how much is actually leftover, but lions and leopards only really consume 40-50% of what they have killed, concentrating the feeding efforts on the meat, organs and soft bones, like the ribs, but their jaw strength isn’t capable of crushing the larger bones. Spotted hyaena’s on the other hand, are more than capable of devouring virtually everything, leaving only the horns. Lions in the Selous don’t only focus on wildebeest or zebra, but we have seen them predate on hippo. In this case a calf, which found itself isolated from its mother, as hippo mothers can be aggressive and will defend their young. This unfortunate hippo calf found itself in the clutches of a pride of lion, which we frequently see at the Lake, which enjoyed their meal for several days. 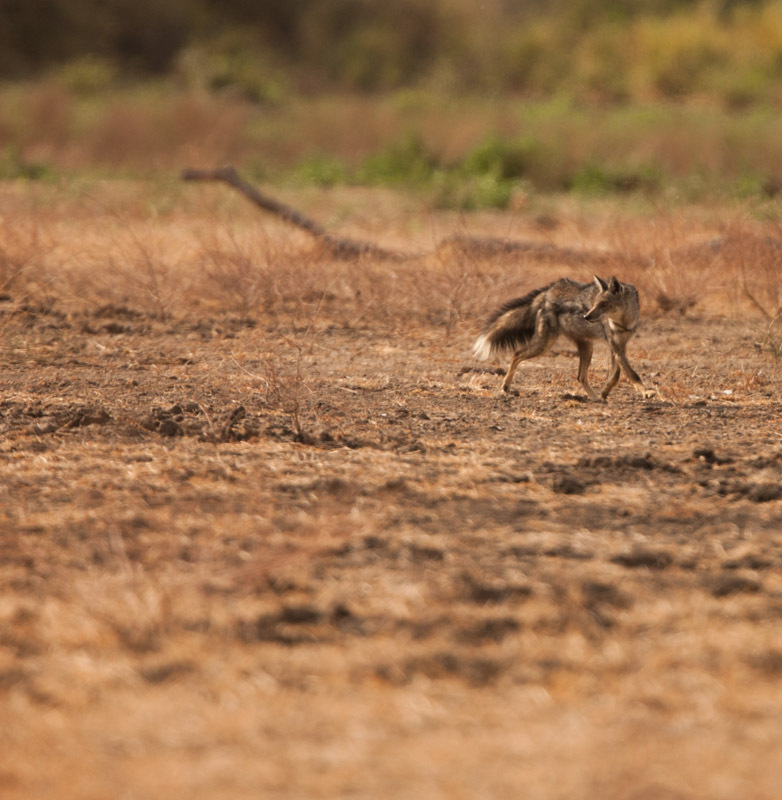 One of the highlights for me is always to see Side-striped Jackal. These jackals in lots of places aren’t the easiest thing to see, and where they share the same area with Black-backed and Golden Jackal, they prefer wooded landscapes. Where Side-striped Jackal is the only to occupy or dominate an area, they tend to have a wider habitat tolerance. These are omnivores and feed readily on fruits, insects, small mammals and scavenge. We were watching a single spotted hyaena try and fend off dozens of vultures from its kill, when a Side-striped Jackal came to investigate and hopefully steal a bit of meat. Its attempts, however failed dreadfully, as the vultures actually chased it away. It resigned itself to lying next to a small bush in the cover of the shade, watching the single hyaena and vultures struggle against one another and try to get into the kill to feed. Great to watch the whole ordeals unfold. From the large to the small, the other evening whilst in the kitchen, checking on dinner, we had the pleasure of seeing an Eyed Flower Mantid. 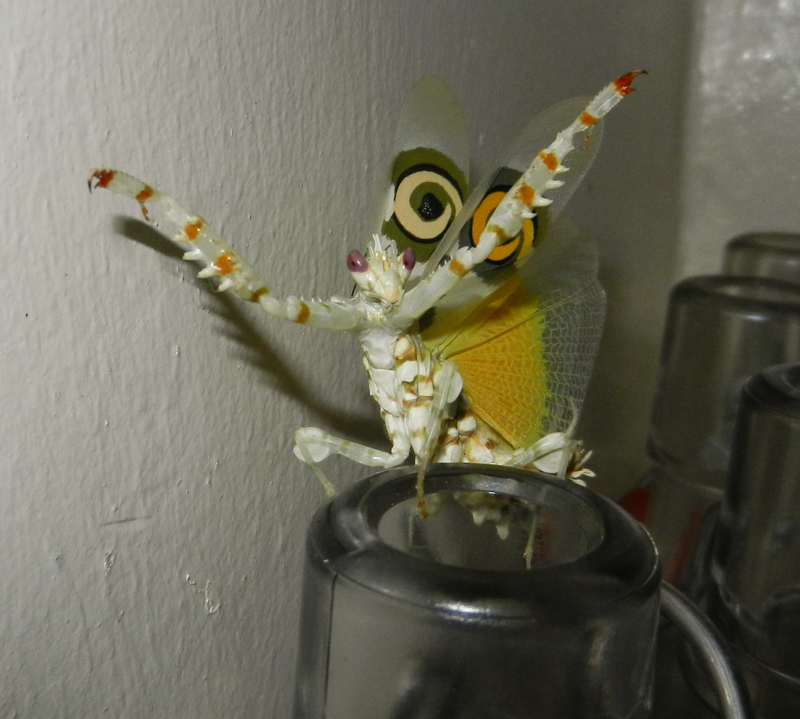 This is a beautiful mantid, that when threatened shows of its eye spots on the wing, and suddenly flashes its yellow hind wings, in an attempt to startle and scare a predator or threat away, in this case, me. They are also ready to strike out with their raptorial front legs, if the threat persists, but is a pretty, spectacular mantid to get the opportunity to see. This entry was posted in Walter, Wildlife and tagged Beho Beho, camp, hyena, lions, safari, selous, walter. Bookmark the permalink. That is the most astonishng mantid! Had to look up what it was as I thought you had made it up! !